Challenges: – CellWaves struggled from a lack of important high-conversion keyword visibility in organic search, as well as relevant traffic to the website. Goals:- Increase overall organic visibility through the improvement of targeted keyword rankings with a high conversion rate, as well as increase relevant traffic to the website. Cellwaves faced a challenge due to their highest-converting keywords having high competition, so they needed an in-depth content strategy paired with on-site optimization and off-site link building techniques. Sure Oak partnered with Cellwaves to determine the biggest content opportunities, and we developed five targeted pages that would provide strategic benefit, as well as deliver high-converting traffic to the website overall. Additionally, we focused on a .EDU scholarship link building campaign to secure highly-authoritative backlinks to the Cellwaves website. 17 important, high-conversion keywords were identified and targeted for content initiatives and link building. Organic keyword rankings grew by 611% from September 2017 to September 2018. After one year into the program, organic rankings for specific keywords grew by leaps and bounds for the 17 targeted keywords. The results above include the #1 main targeted keyword phrase (cell tower lease) for the client’s website/business. This keyword sits consistently in the 8th position on page 1 of Google. Additionally, due to our holistic SEO approach, many other achievements have been accomplished over the past year, as seen below. 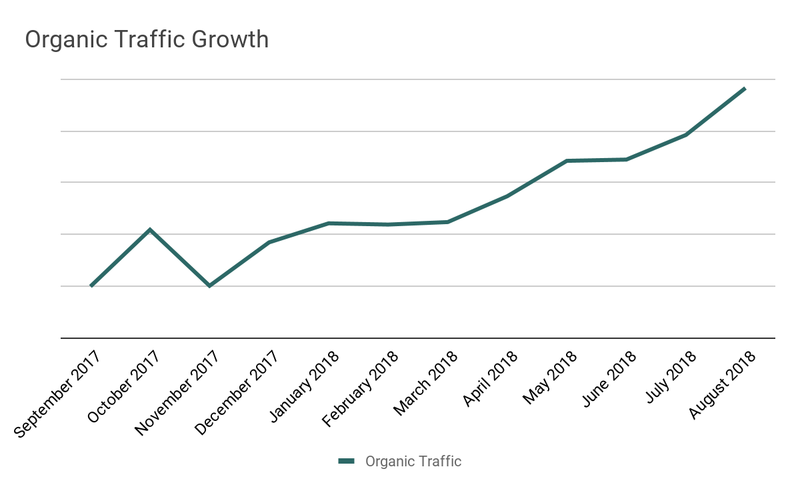 Organic traffic to the website grew by 385% from September 2017 to August 2018. A total of 77 valuable .EDU backlinks have been created. Total valuable backlinks pointing to the website increased by 36% from September 2017 to August 2018. Domain authority for the website increased from 5 in September 2017 to 20 in August 2018. 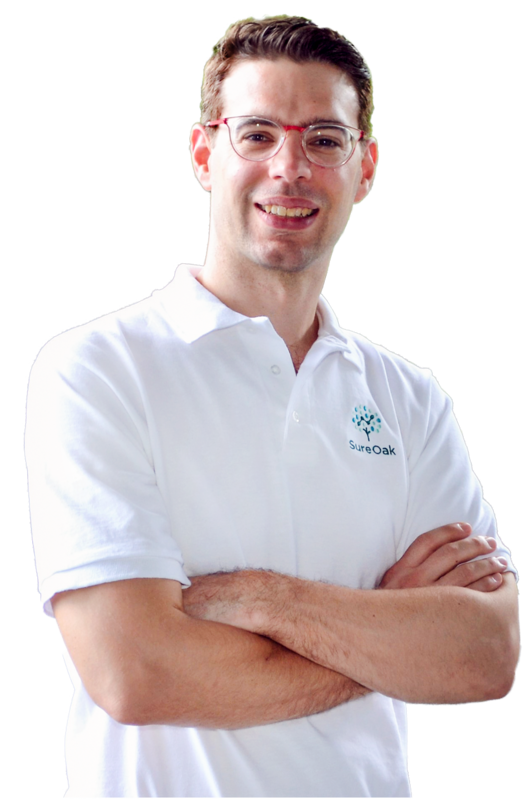 “We received good executable advice from the Sure Oak team. They were diligent in pursuing tasks required to drive results, and they assigned great project management oversight to move the project along regularly. The end result is a slowly but surely path of top 3 spots on Google searches for targeted terms. I also appreciate the project management put over our project, and the team of support built behind the company and the progress that is made gives a sense of control over the process. The SEO field is confusing and there are many companies/people out there purporting to have the requisite skills to perform the work. But in the end, it isn’t just the skills, but also the people, network, expertise, process, and structure that can deliver what we need, when we need it.